The JS32TQ Dinky Arch Top has a Poplar body with a beautiful quilt maple arched top, bolt-on maple speed neck with graphite reinforcement, compound-radius (12-16) bound rosewood fingerboard with 24 jumbo frets and pearloid sharkfin inlays, and bound headstock. 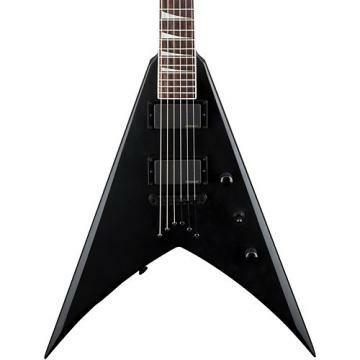 Other features include dual high-output Jackson humbucking pickups with ceramic magnets and three-way blade switching, adjustable string-through compensated bridge, black hardware and die-cast tuners. Was impressed! Got it as open box. The finish is fantastic! Love the blue quilt finish! … string action was GREAT right outta the box and the hardware is good quality. .Great guitar for the price!